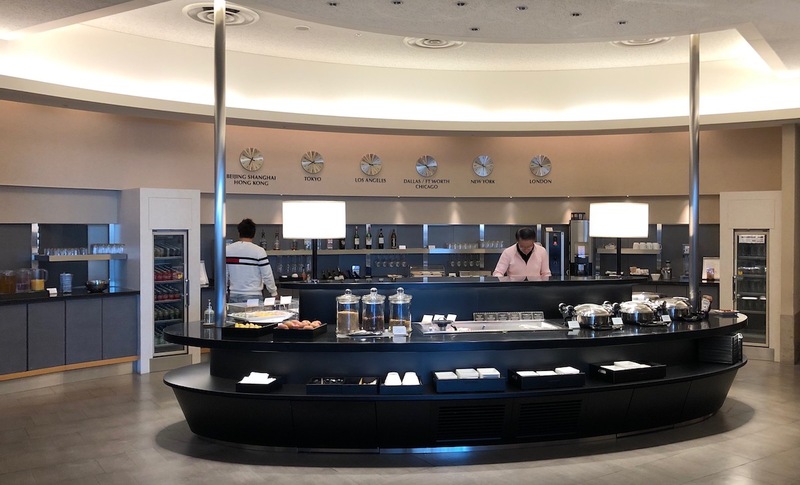 Initially my plan was to visit the Japan Airlines First Class Lounge, which is the best lounge for oneworld flyers. 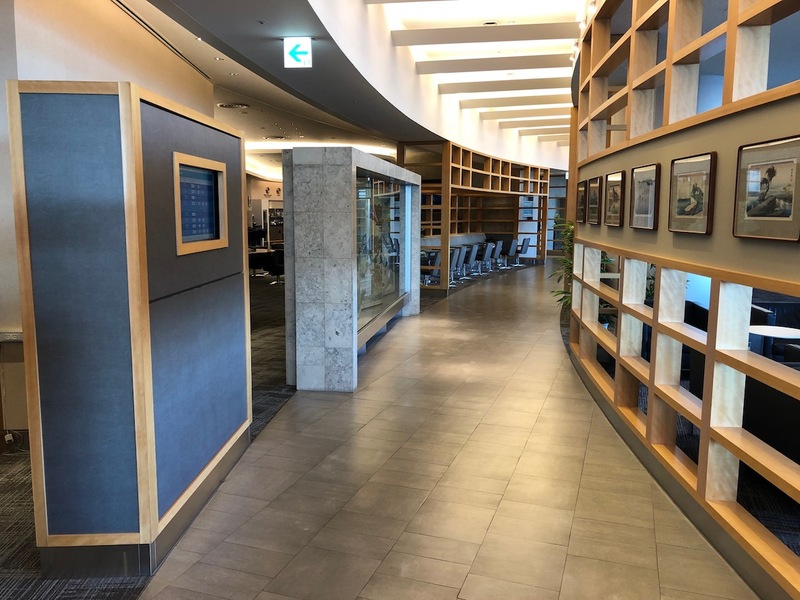 However, the lounge was under construction when we visited (the renovated lounge recently opened), so we were turned away (only parts of it were open, so they were only accepting Japan Airlines passengers). 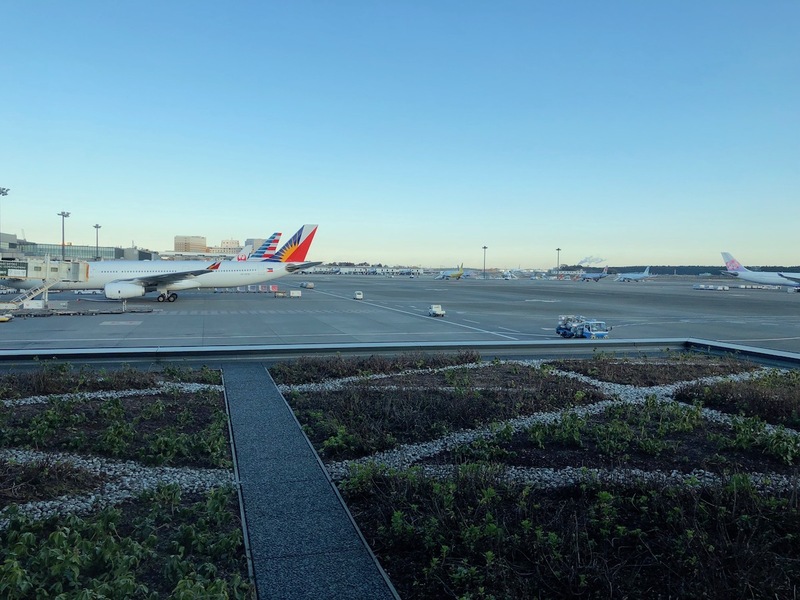 Instead we headed to the American Admirals Club Narita. This is also located in Terminal 2, near gate 71, just a short walk from security. The lounge is open daily from 7:30AM until 9:00PM. 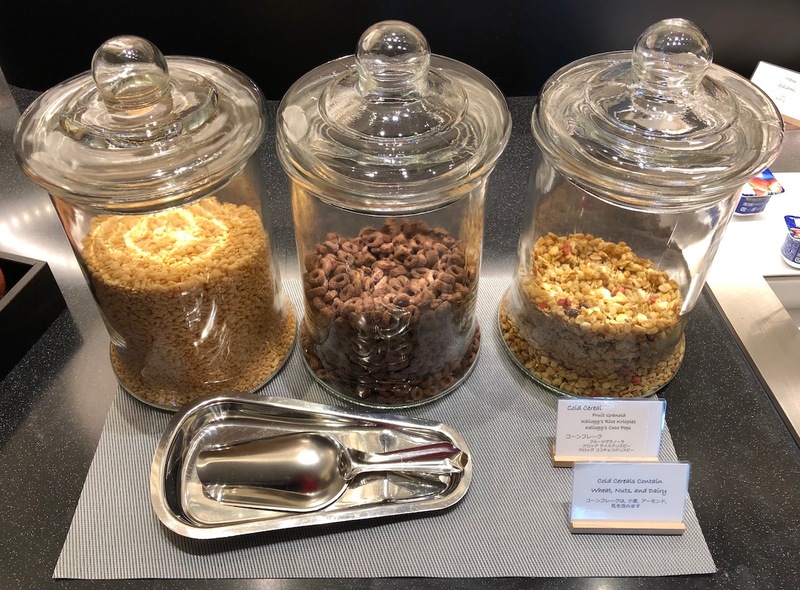 We had access to the lounge on account of our oneworld business class tickets (we were flying SriLankan Airlines), as well as our oneworld status, given that oneworld Sapphire and Emerald members also have access to the lounge. Furthermore, I’m also an Admirals Club member. 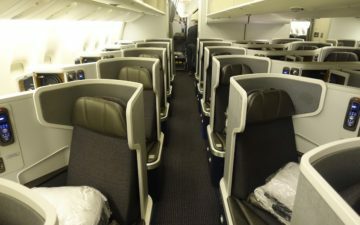 If you’re based in the US and want an Admirals Club membership, your best bet is having the Citi® / AAdvantage® Executive World Elite™ Mastercard® — the card has a $450 annual fee, though the primary cardmember gets an Admirals Club membership, and you can add up to 10 authorized users at no additional cost, and each of them gets Admirals Club access as well. 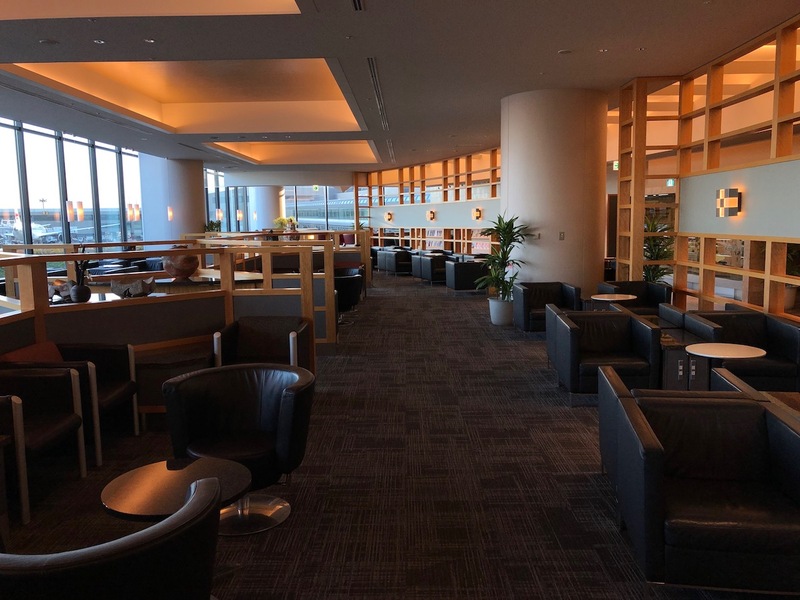 Anyway, the Admirals Club is a good size, and in the morning was quiet, given that a majority of American departures from Narita are in the evening. 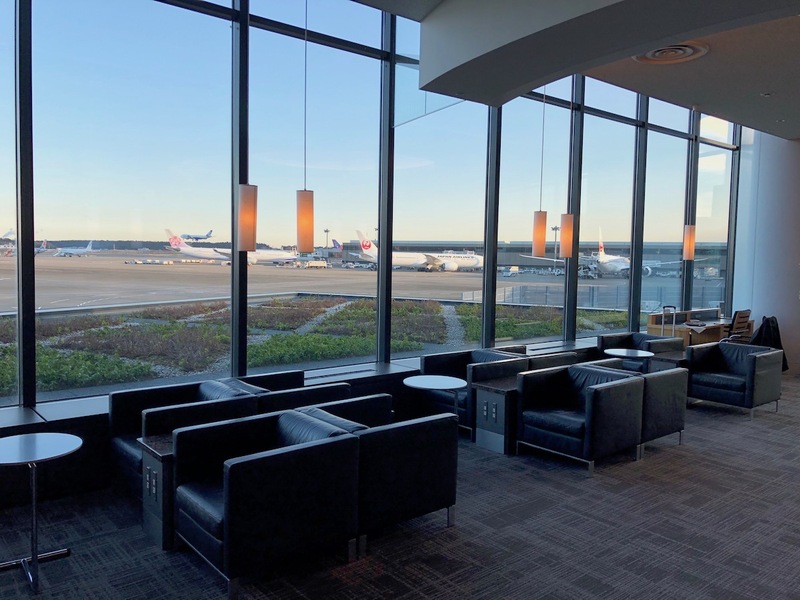 The main room of the lounge features great views of the apron, thanks to the huge windows. There are other seating options as well, including chairs set up around tables, chairs with ottomans along the wall, etc. Deeper into the lounge are some dining tables. 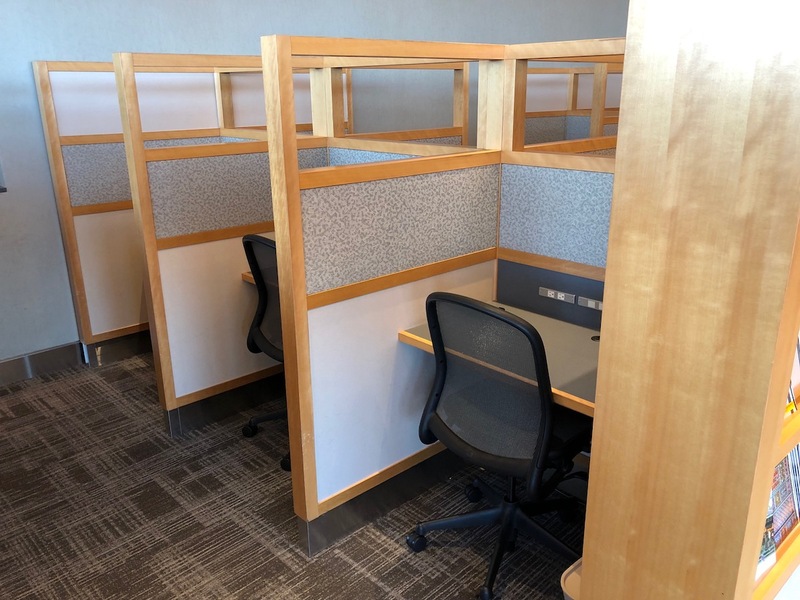 There’s also a business center with some cubicles, as well as a table with some computers. 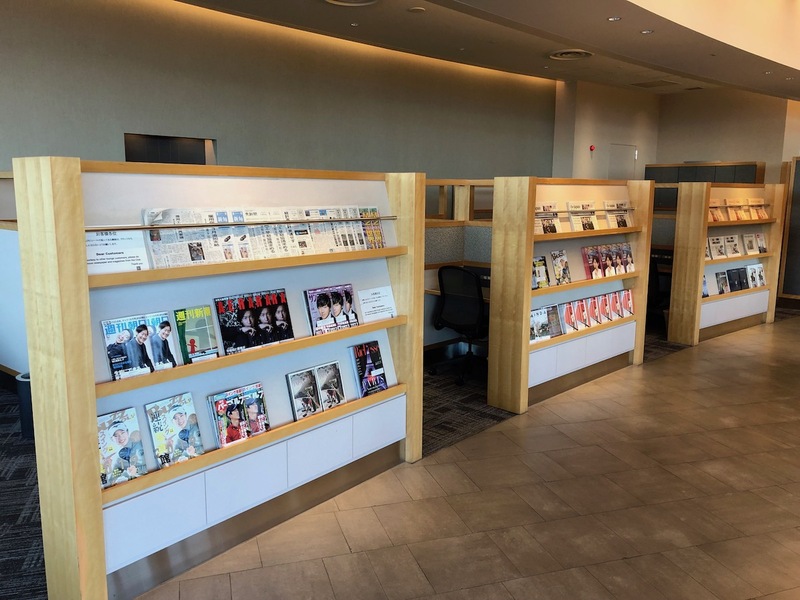 Then there’s a selection of magazines and newspapers. In the interior of the lounge, there’s another large sitting area, which is right next to the buffet. The buffet is in an oval shape. 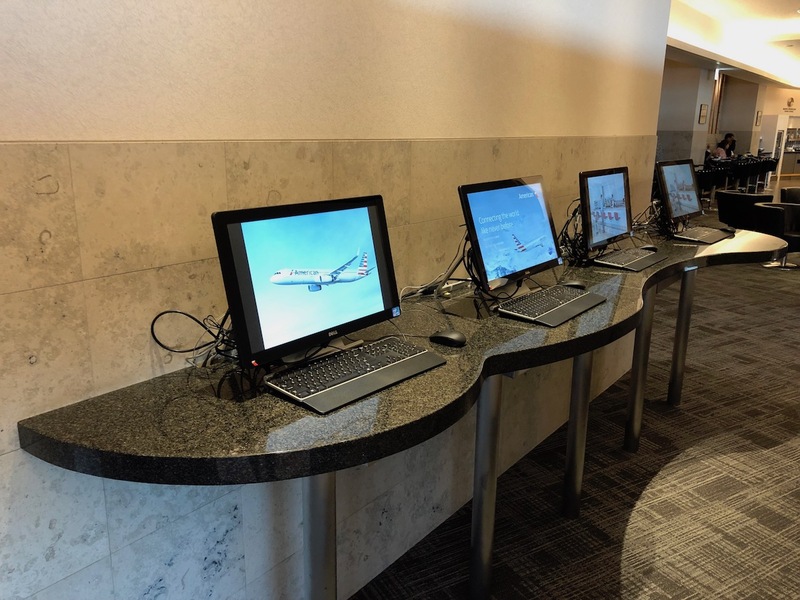 I’d say the selection is better than you’ll find in a US Admirals Club, though also not that impressive. 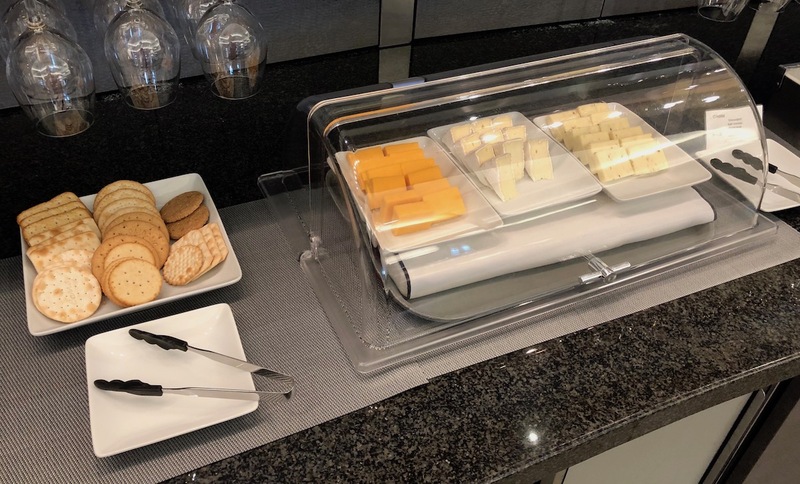 For breakfast they had a variety of finger sandwiches, desserts, whole fruit, cereal, salad, cold cuts, yogurt, croissants, hard boiled eggs, cookies, cheese, etc. There were also a limited number of hot options, including lukewarm quiche, sausage, bacon, and rice. In terms of drinks, there were pitchers with juice, canned soda, and a beer machine. Then there was a machine with espresso beverages. 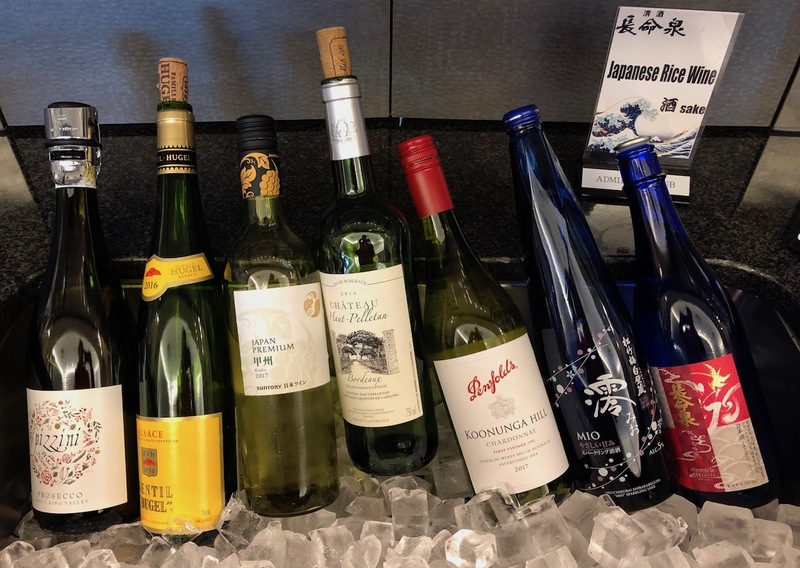 The alcohol selection included quite a bit of self serve liquor, wine, and sake. The bathrooms were in the back part of the lounge, and there were also some shower suites, though I didn’t have the chance to check them out. 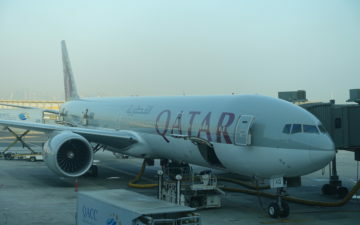 We spent about an hour in the Admirals Club before heading to the Qantas Lounge. 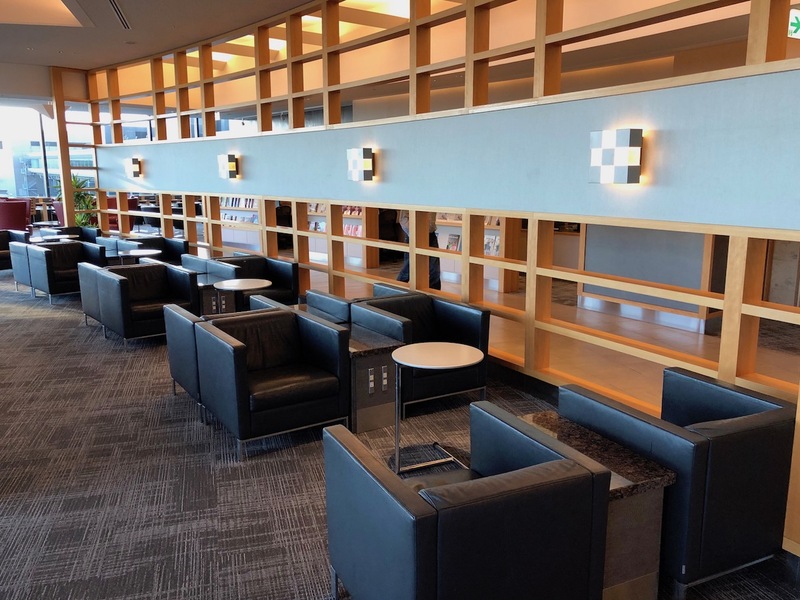 As far as Admirals Clubs go, this one is pretty decent. The decor is a bit outdated, but I appreciate the amount of natural light the lounge has. The lounge also has a very good drink selection, and a fairly good food selection. 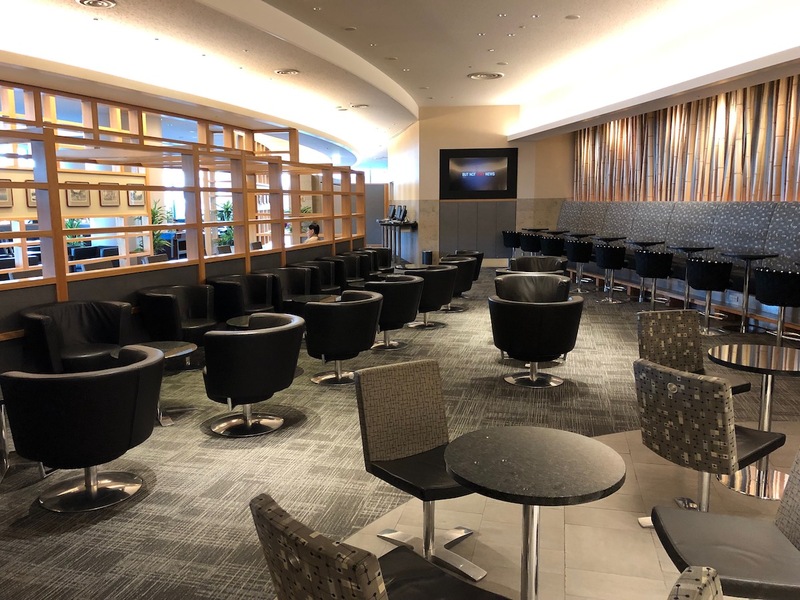 I still wouldn’t personally visit this lounge again when I could access the Japan Airlines lounge instead, but as I said, they temporarily weren’t accepting those flying on other airlines due to their construction. 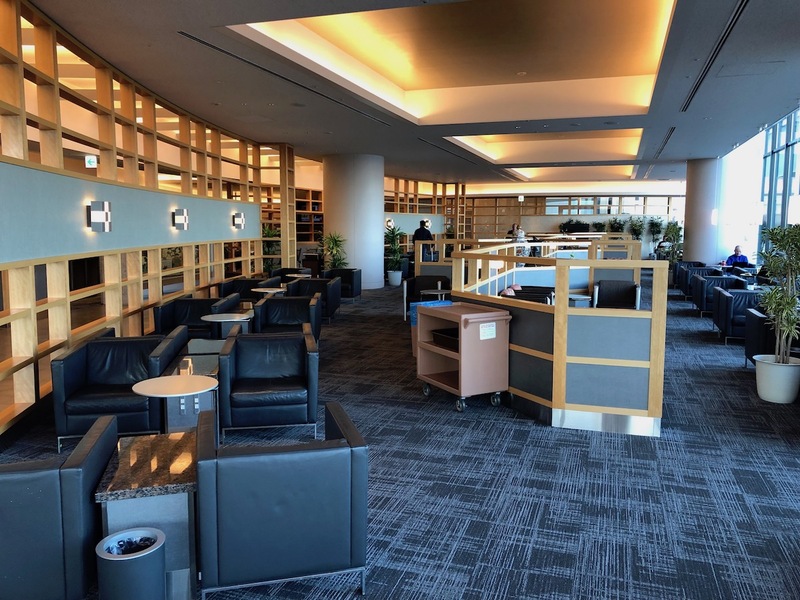 If you’ve visited the Admirals Club Narita, what was your experience like? 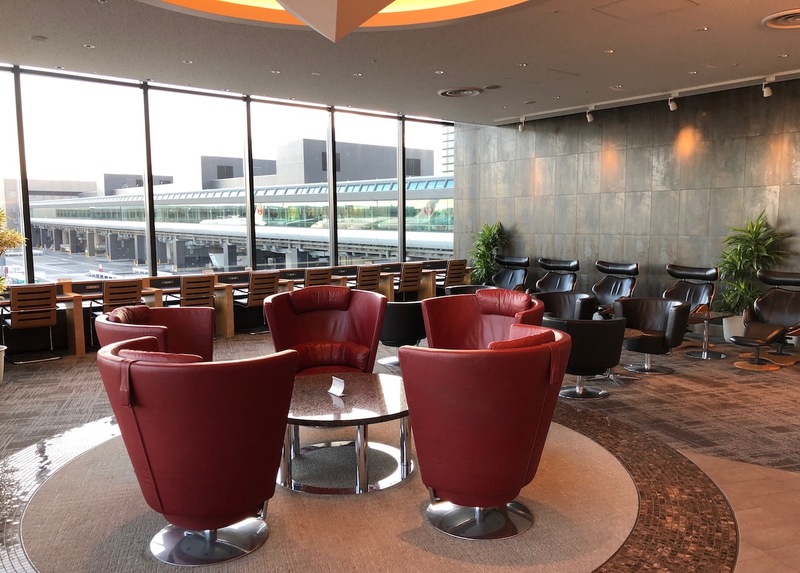 Best lounge at NRT for One World Flyers or best One World lounge? I’m sure you meant at NRT but wanted you to clarify. Thanks! the view from the lounge is pretty nice, however. We were there July 2018. We had a hard time finding it since it was our first time in NRT. Nice to have the showers available after a long flight. Food was not impressive sort of like you say and I didn’t eat much bc of that. I remember not being able to find bottled water. There was a carafe of water and I drank most of it. Staff were very friendly. 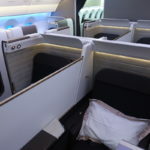 Very similar to the Admiral’s Club in Heathrow: better than almost all ACs in the US but still inferior to many other OneWorld options in Asia (e.g., Cathay View and Pier in HKG). Definitely the best alternative to the JAL first lounge whilst that has been restricting access. Fairly decent sake but not a patch on what they have at JAL. CX doesn’t have any at all. Last time I was there waiting for my qantas for to brisbane and once the tech bros boarded for LAX I was left with the whole place to myself. Very peaceful. Decent showers too. 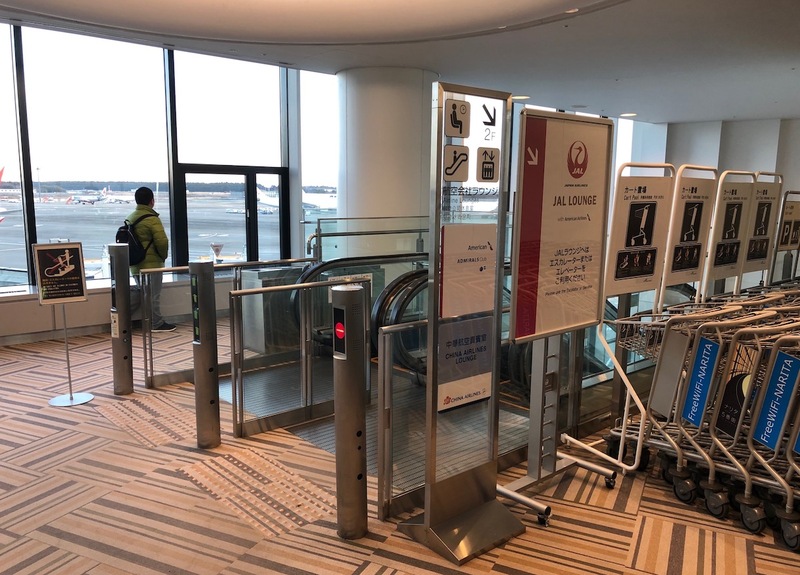 The reason security, lounges (and indeed the terminals) open so late is that there is a strict curfew at Narita, as per which no movement is allowed before 9.30 AM (it was even 10.00 until a court overturned it). There actually are farms and private housing right in the middle of the field and they wage war against the airport. Hence the security checks “à la Tel Aviv” on the access roads and before exiting train platforms. I enjoyed this lounge last fall. I have no status, so was allowed in due to flying AA in J. I enjoyed spending my time there. I would get a beer and some snacks, which I enjoyed. I sat in those chairs and table facing the apron watching the planes land. I have to confess that I had my iPad on FlightRadar24 (using the fast wifi) and watching the planes line up on the iPad and then waiting to see them land in real life. Lots of fun planes land at NRT. Totally geeky, but a real fun way to pass the time. 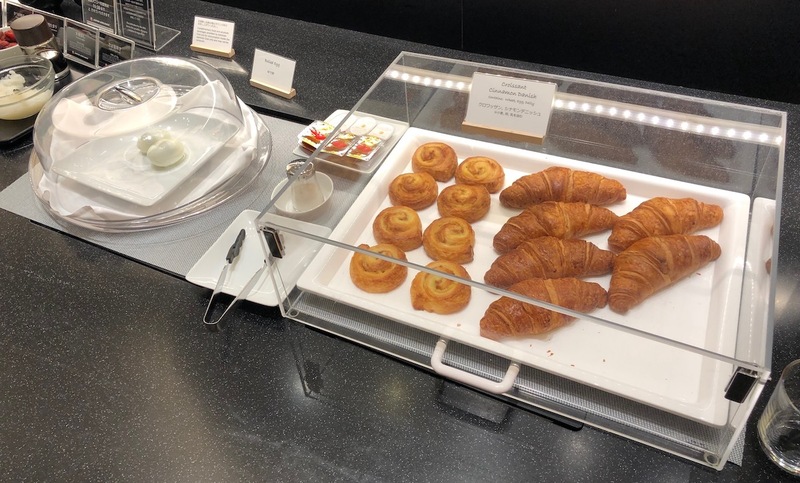 The place was comfortable, clean, nothing really exciting regarding food, but I wasn’t really hungry and was just interested in snacking anyway. A few obnoxious people talking loudly on their phones. 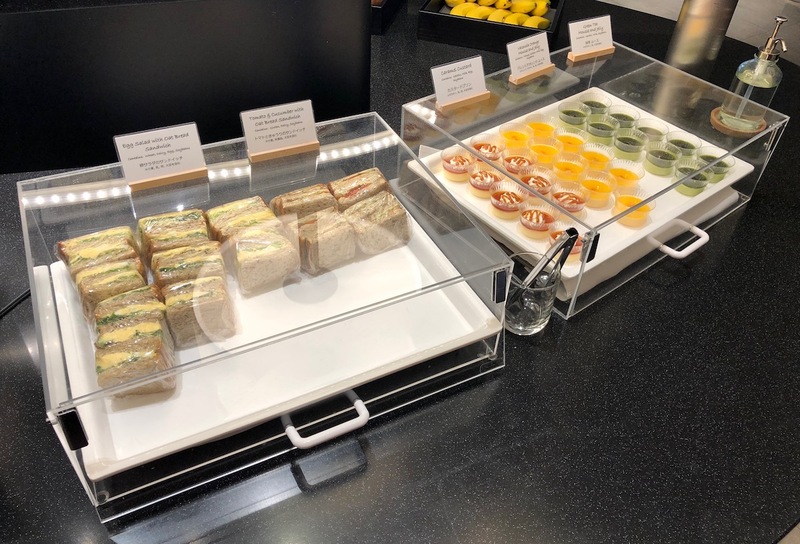 After 10 days in Japan hearing almost no English, the AA lounge can be a sudden and jarring return to western culture. Anyway, I enjoyed it a lot. 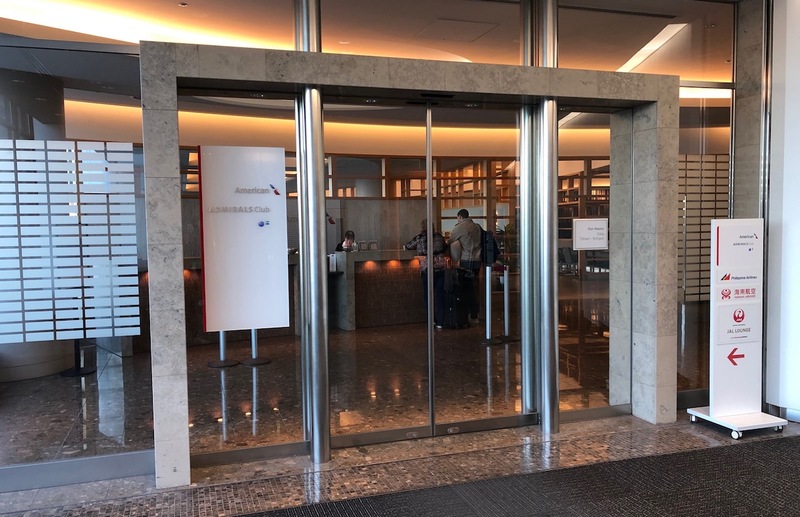 Agreed that the NRT Admirals Club is one of the best and second only to the stealthy Premuim Lounge at MIA in my experience. Though other Oneworld lounges at T2 are better, this lounge holds its own as an international business class lounge. far too many photos. please learn to edit them down. We don’t need photos of every single item of food on offer a brief list would suffice. Nor do we need pictures of cans in a fridge or jugs of juice. @ ChrisC – if you dont want to look at these photos just scroll down. It will just take you fraction of a second. There might be those people that may want to look and I am one of that. You should appreciate and be thankful rather than complaining no? lounge is better . The service on AA in business was lovely , it’s all about the crew . The same goes for JAL Flying from NRT TO Bkk. Warmly . Thank you . Thanks for all the photos Ben. Appreciate your detail. Ignore the haters. Thank you Ben for all of your photos. I love them. Please add more and never less as you are better than the other travel bloggers out there in terms of posting a good amount of great photos for us. I read somewhere that the catering for the Admiral’s Club in NRT now comes from JL’s Sakura lounge, i.e. 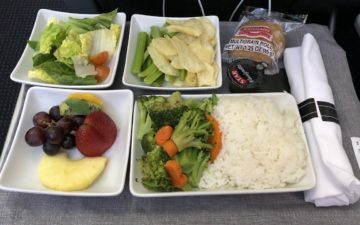 the food offering would be identical (I’m guessing it’s one way for JL to encourage AA passengers from overcrowding their own lounges). 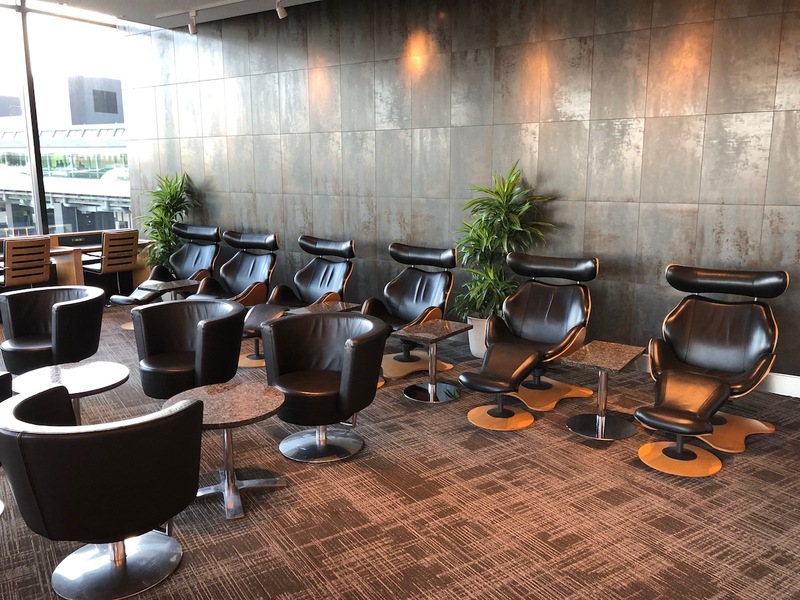 In addition to the older-style and therefore unremarkable CX lounge, it is worth mentioning there is a decent Qantas lounge in the satellite, where you have another JL First and Sakura lounge. 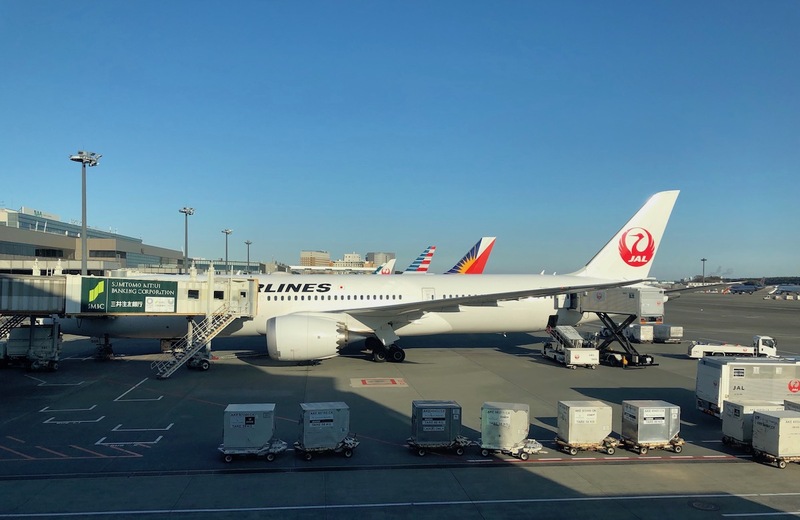 One has to wonder why there is no more lounge consolidation among OneWorld members in NRT, especially given the gradual shift of long-haul services to HND. What’s remarkable about NRT (and HND as well for that matter) is that pretty much all lounges have great open apron views. 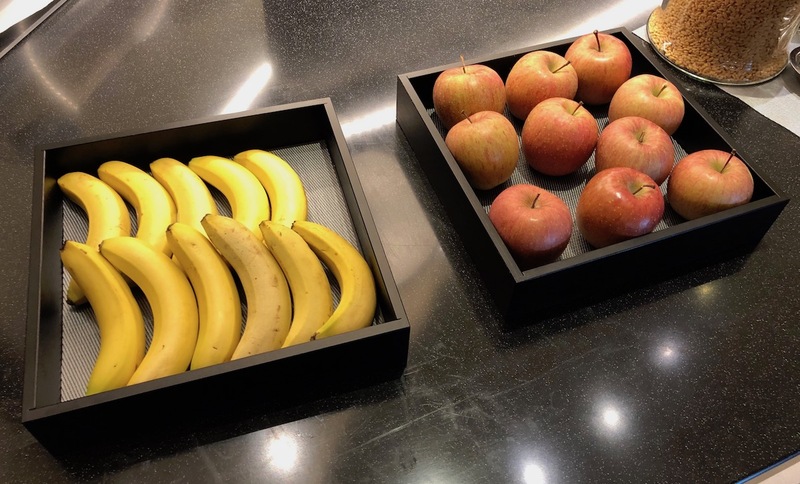 Some people don’t see the usefulness of photos of jugs of juice or a fridge full of soda cans or of a tray of apples and bananas. We know what they look like. Pics of the layout and special features yes but not of food you can see in your local stores. I want info on the availability of plug sockets and WiFi speed but they don’t get a mention! Admirals club in NRT is large but unremarkable vs. JAL Sakura First. I wonder why Ben did not go Sakura First in Satellite that is open 07:30 – 11:00 and 15:00 – 19:30. I the past, selection of food and beverages there was the same as in the main building but no make to order sushi. 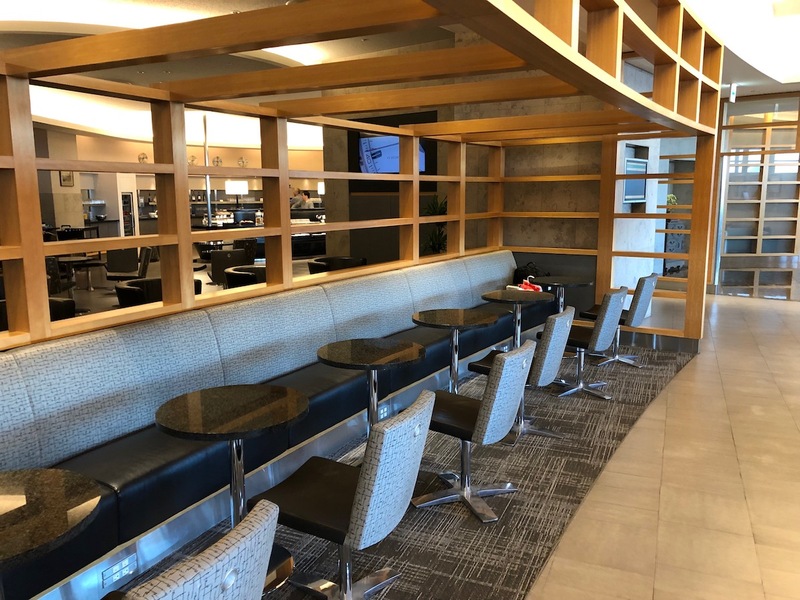 While I like the style of the newly renovated Admirals Club that makes the decor of this lounge seem dated, the seating options sure do look both varied and comfortable. The good quality and thorough photos are one of the things that make’s Ben’s blog stand out. They’re great! 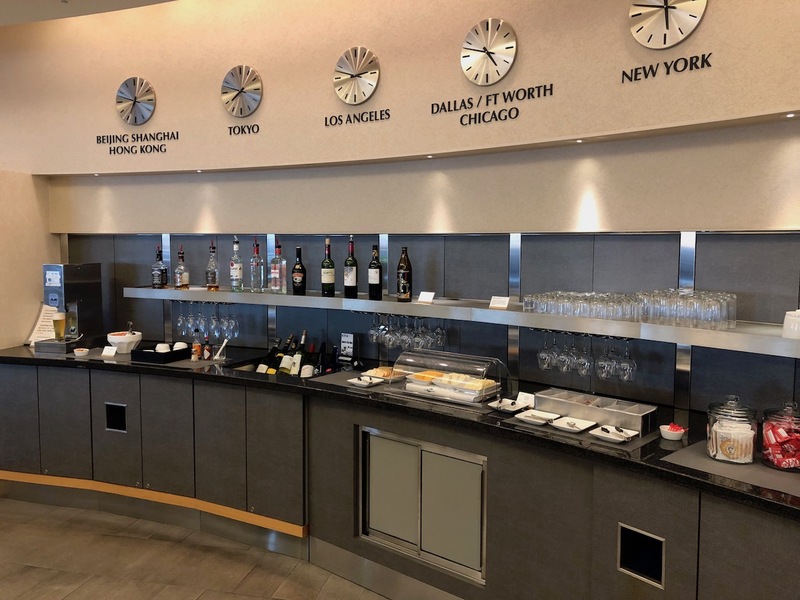 Also, sometimes Ben’s photos are so good, I just take a look at the photos and I already get a basic feeling about the airline, hotel, or lounge. @Siv. You need to see pictures of orange juice? Really??? @Mike. You dont know what Orange Juice looks like? You need to get out more often. I was at that AA Narita Lounge 2 weeks beforehand. Took the same picture of the KitKats! LOL! Surprised the jar was still full after the handful I took for the flight back. The sandwiches were good and the breakfast selection was decent. A well-run and friendly place to spend time. Knew I didn’t have a chance to get first comment on the hot dogs.